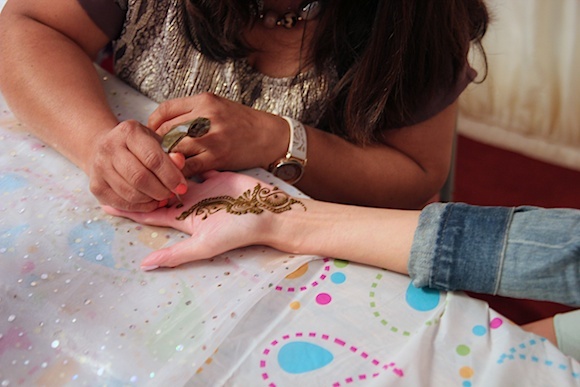 A few days before my friend's wedding, we had a mehndi party to celebrate the upcoming nuptials. 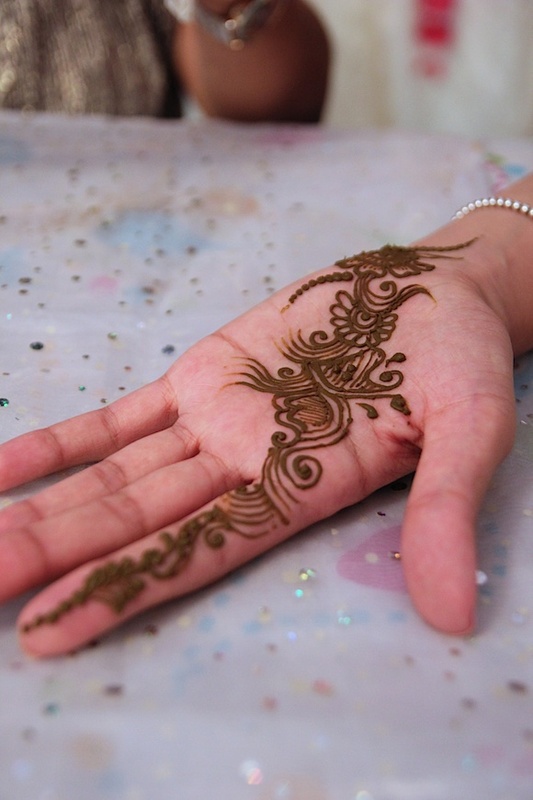 In Hindu weddings, a mehndi party is thrown with the bride's family and the bridal party where mehndi (also known as henna) is painted on the women's hands. My friend, the bride, got it done to both her hands and feet. It was my first time getting mehndi done and it was fascinating to see the designs being painted with such precision using only a small plastic cone similar to a cake decorating tube. The henna dye is all natural too. Made from dried henna leaves grounded to a powder, it's then mixed with a variety of ingredients such as essential oils, lemon juice and warm water until it becomes a paste. 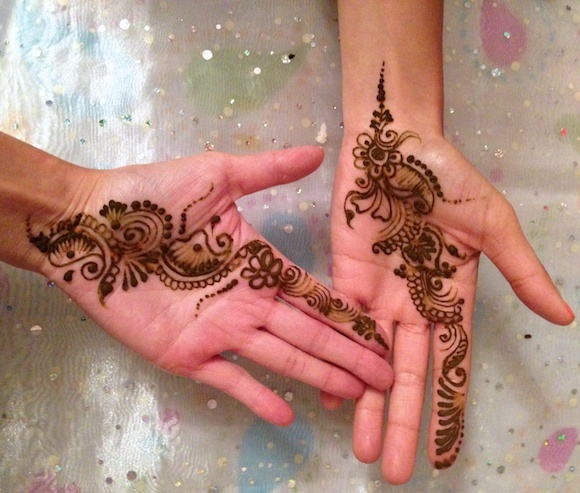 The mehndi artists painted a different design on everyone's hands, each design equally as intricate and beautiful. The paste takes a few hours to dry so unfortunately we couldn't high-five each other during this time. Once hardened, you scrape the paste off to reveal a pale to dark orange print. The colour darkens over the next few days but gradually fades over time, after about a week. I loved getting mine done, my hands looked so pretty!